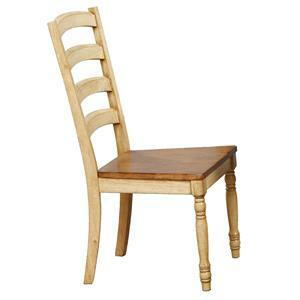 Bring a rustic, country feel to your casual dining space with this x-back chair. The chair's light Oatmeal finish keeps the look relaxed, while PVC upholstery on the seat adds contrast and provides comfort. 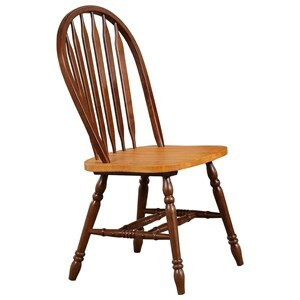 The Grandview X-Back Side Chair with Upholstered Seat by Winners Only at Knight Furniture & Mattress in the Sherman, Gainesville, Texoma Texas area. Product availability may vary. Contact us for the most current availability on this product. 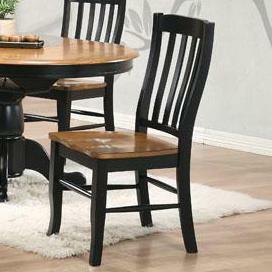 Featuring a light Oatmeal finish and planked X detailing, this dining collection exudes rustic country charm. 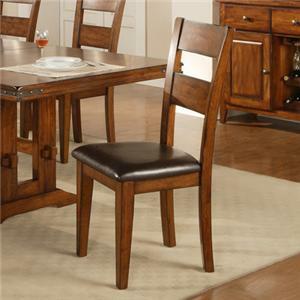 Simple lines and sawhorse-inspired silhouettes keep the look casual and relaxed, while smart features and a variety of sizing options let you find the perfect look and function for your dining room. 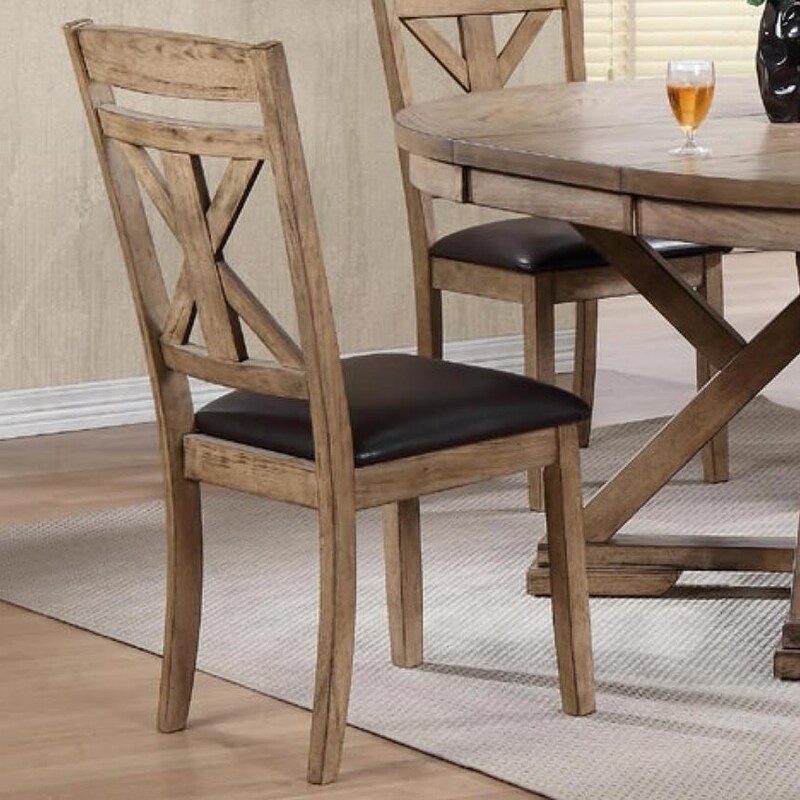 The Grandview collection is a great option if you are looking for Rustic Casual furniture in the Sherman, Gainesville, Texoma Texas area. Browse other items in the Grandview collection from Knight Furniture & Mattress in the Sherman, Gainesville, Texoma Texas area.